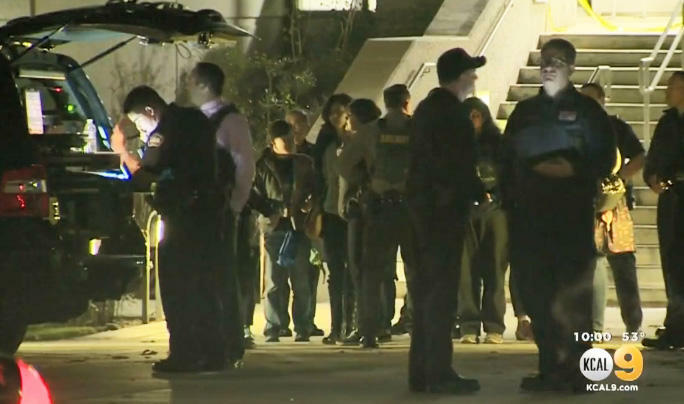 Authorities say a gun was fired and a bullet hit a building on a Southern California college campus, but there were no reports of any injuries. Officials at California State University, San Bernardino said the gunfire was reported at about 6 p.m. Wednesday local time. San Bernardino police say the shot most likely came from just off campus and hit a window of the visual arts building on its west side. Police went building-to-building searching for a shooter for hours before giving the all-clear. No shooter has been found, reports CBS Los Angeles. Classes were canceled for the night and students were stranded in buildings on lockdown before police cleared them. All clear. Everyone not living on campus should immediately leave. PD will continue to monitor campus. Classes resume tomorrow, Jan. 11. The school about 60 miles east of downtown Los Angeles has about 20,000 students.